Seung Woo Yu received a B.S. degree in electronic and electric engineering department from Dongguk University in 2014. He is currently pursuing an M.S. at the School of Information and Communications in the Gwangju Institute of Science and Technology (GIST), Korea. 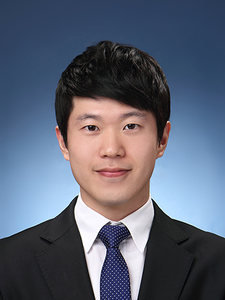 His research interests include direction Of arrival estimation using multi-microphone array and their embedded algorithms and solutions for resource constrained devices.